Google has released an update to Google Sheets for Android that brings some much needed improvements around charts in the spreadsheet app. 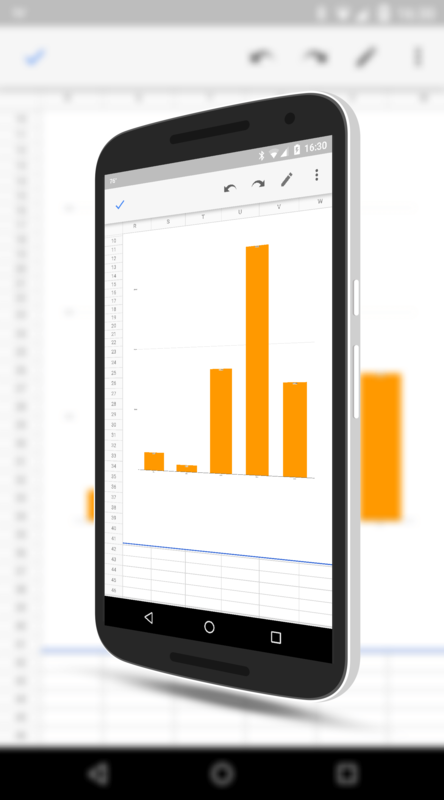 Right now you can insert a chart into a sheet on your Android phone or tablet with no problem but manipulating that chart is pretty limited. For things like changing simple things like the legend location, you have to go to the file in your browser. That, fortunately, is changing. This latest build will allow you to do four key things that, to now, have only been available through the browser while editing a Sheets file. While Google Sheets (and the entire Docs suite for that matter) have a way to go before it has feature parity with Microsoft Excel, these small updates for Android are certainly steps in the right direction and will go a long way in allow users to work on their Android (tablets) on editing before having to revert to the desktop. The update is rolling out to the Google Play Store now and if you have Google Sheets installed, the OTA should be coming to you over the course of the next few days.